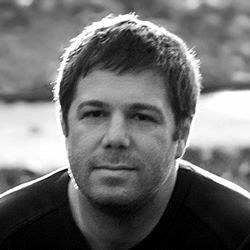 Founded in 2001, our landscape design and build practice develops contemporary projects throughout London, the home counties and overseas. With a broad spectrum of expressive design detailing, warm tones, creative personal style, expressive landscaping methodologies and diverse natural planting schemes, our landscape design portfolio and its photographic images embody an innovative approach which sustains beautiful yet liveable outdoor spaces, and encapsulates a truly charismatic client base, varied locations and modern schemes. 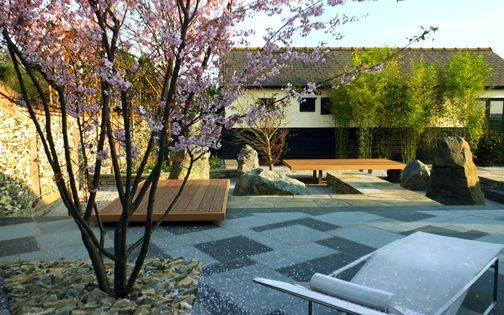 A contemporary Japanese garden in CB11. Location: North Essex. Size: 220sqm. 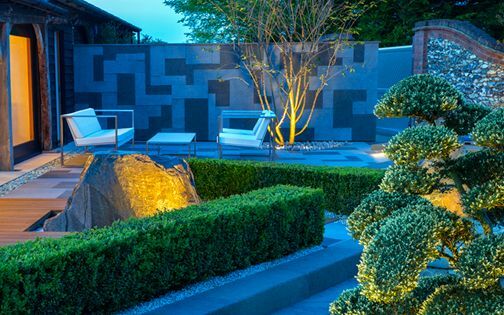 Landscape design: architectural trees, hedging, topiary. Build elements: granite walling, paving and rocks, natural stone, hardwood decking, water feature, basalt and sandstone paths, sunken garden. Project images: Marianne Majerus. 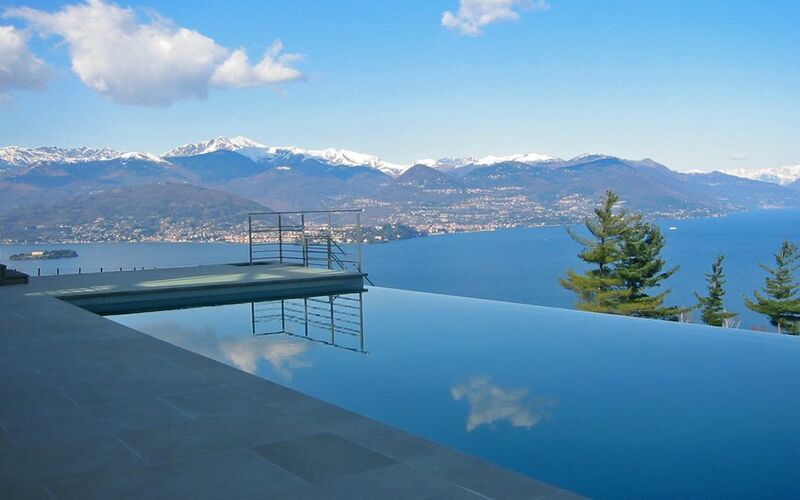 Landscape garden in Lake Maggiore Northern Italy. Location: Northern Italy. Size: 2 acres. 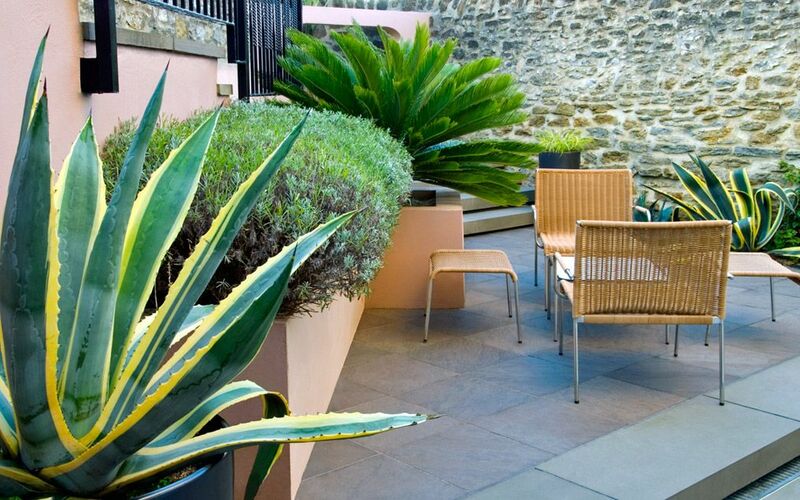 Landscape design: natural planting, entrance garden, roof terraces, paths. 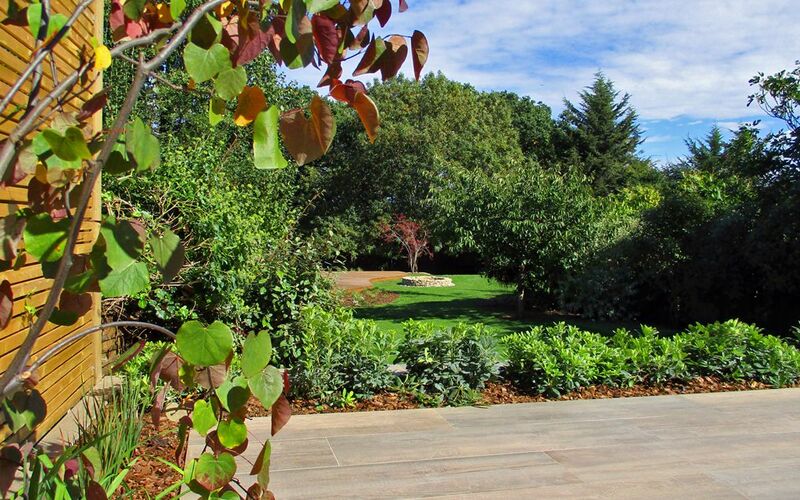 Build elements: slope regrading and terracing, large-scale planting, fruit orchard, flower meadow and native hedging. Project images: Amir Schlezinger. A Large family garden in N20. Location: North London. Size: 0.5-acre. Landscape design: coastal, meadow and woodland gardens with native plants. Build elements: sun deck, fire pit, natural stone walls and steps, sunken trampoline, basketball court, mini football pitch. Project images: Amir Schlezinger. Secluded large back garden in NW6. Location: North London. Size: 100sqm. Landscape design: 6-metre-long cantilevered bench, sculptural evergreen planting for privacy, indoor-outdoor continuity. 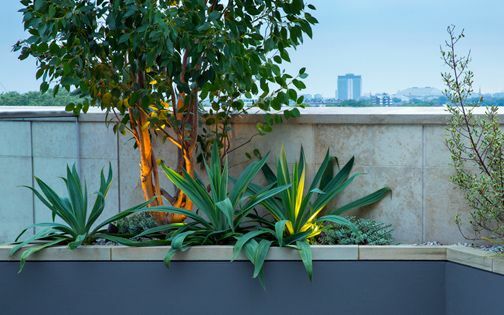 Build elements: Cedar-clad panels, raised beds, tiled surfaces, irrigation, lighting. Project images: Amir Schlezinger. 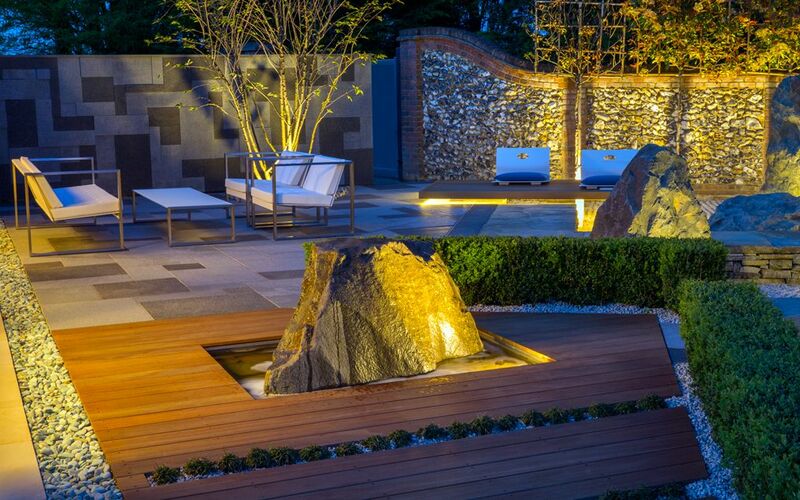 A Large modern garden in SW11. Location: South London. Size: 100sqm. Landscape design: sun lounge, coastal and herb gardens, dining area, driveway. 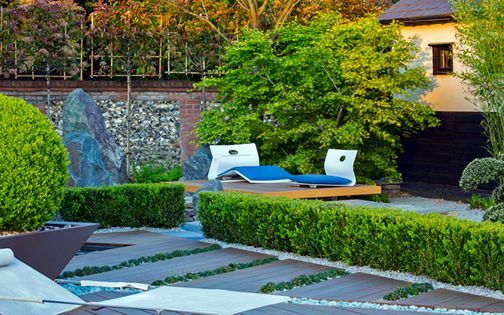 Build elements: split-level Iroko deck, raised beds, built-in benches, sunken bbq, irrigation, Yorkstone surfaces, lighting system. Project images: Clive Nichols. 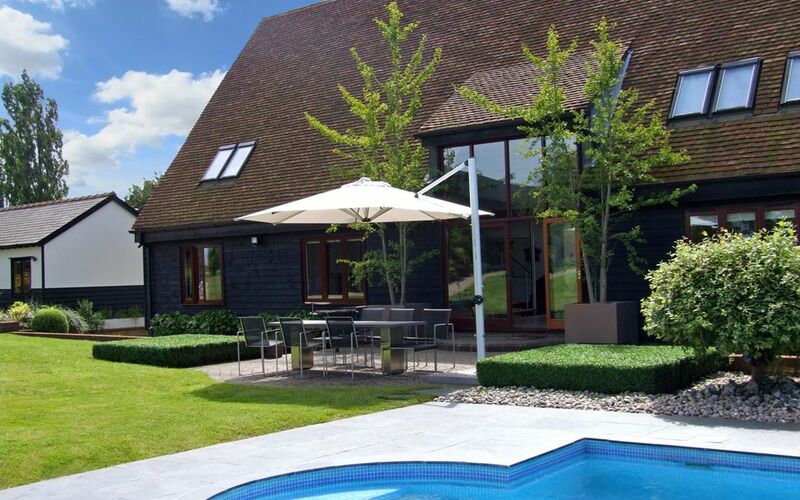 Large country estate in CB11. Location: North Essex. Size: 5 hectares. Landscape design: driveway, entrance garden, orchard, native trees and hedges, bespoke planters, kitchen garden. Build elements: agricultural gates, planting beds, swimming pool landscaping. Project images: Amir Schlezinger. 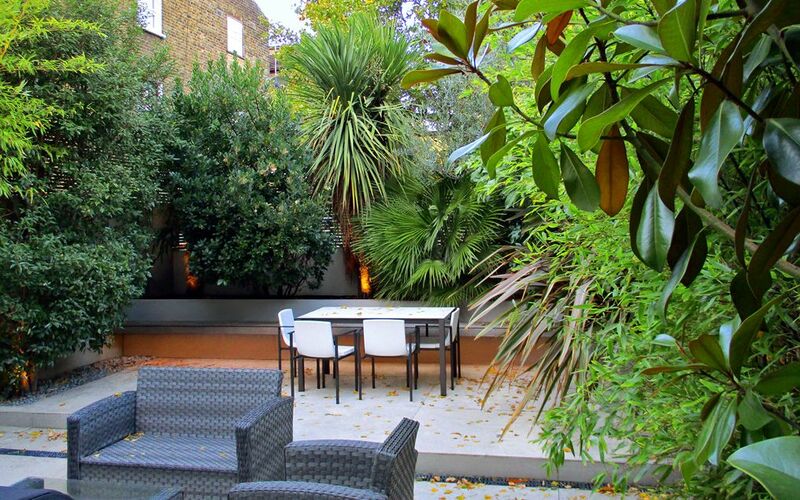 A contemporary lush back garden in SW9. Location: South London. Size: 65sqm. 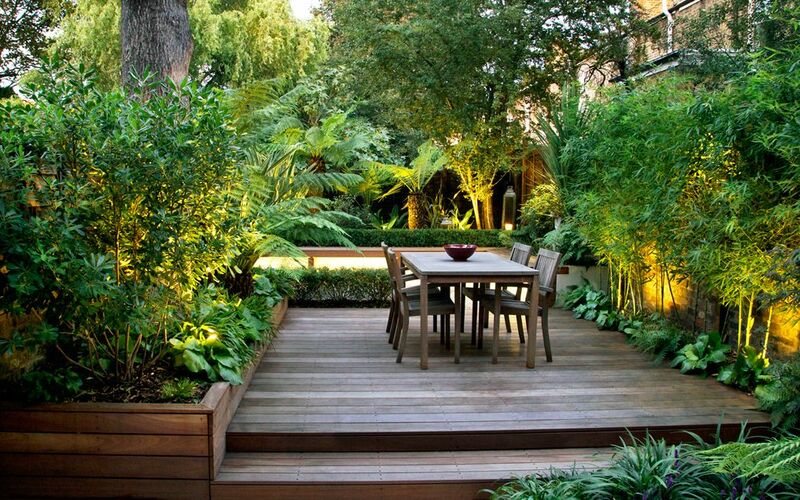 Landscape design: front and back gardens, stairways, planting, surfaces, seating, lighting. Build elements: multilevel deck, tiling, benches, raised beds, arboriculture, woodwork, fencing. Project images: Marianne Majerus and Lucy Fitter. 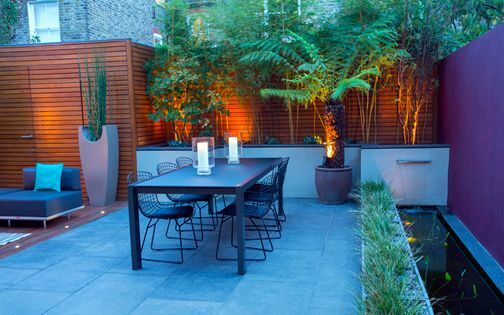 Contemporary courtyard garden in BH13. Location: Dorset. Size: 65sqm. Landscape design: natural stone detailing, architectural desert plants. Build elements: raised beds, sculpture gallery, multilevel stairways, automatic irrigation, lighting, sculptural pots. Project images: Carole Drake and Clive Nichols. Modern Mediterranean garden in N1. Location: North London. Size: 50sqm. 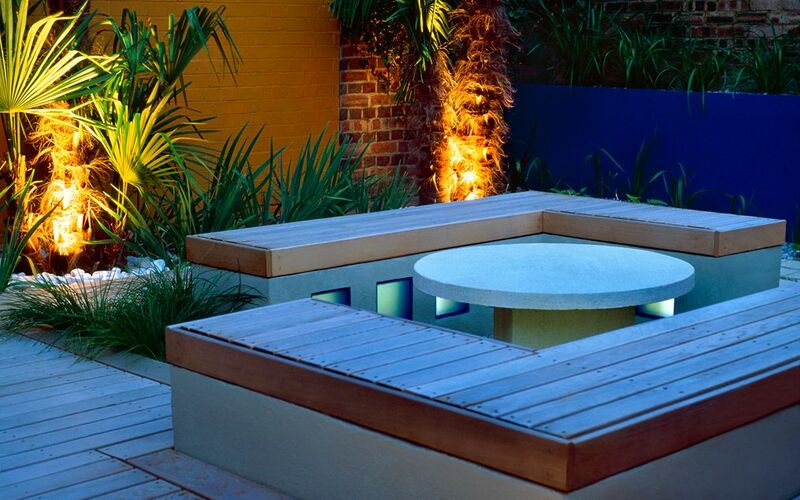 Landscape design: bench design, Mediterranean planting, colour scheme, privacy. Build elements: Cedar deck, rendered walling, raised beds, Blanc de Bierges concrete paving, paths and table, fencing, lighting. Project images: Helen Fickling. Small courtyard garden in SW6. Location: South West London. Size: 24sqm. 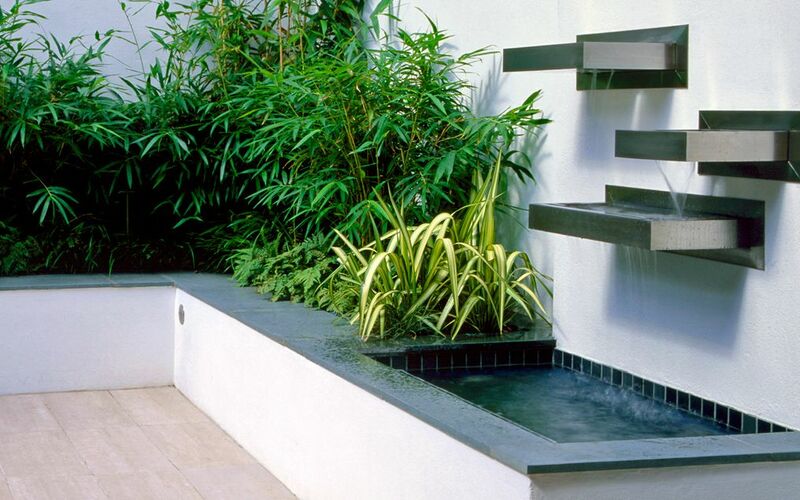 Landscape design: lush woodland planting, waterfall, surfaces, seating. Build elements: raised beds, tiling, walling, two roof terraces, screening, jacuzzi, front garden, balustrades, Oak railings, fitted storage. Project images: Clive Nichols. 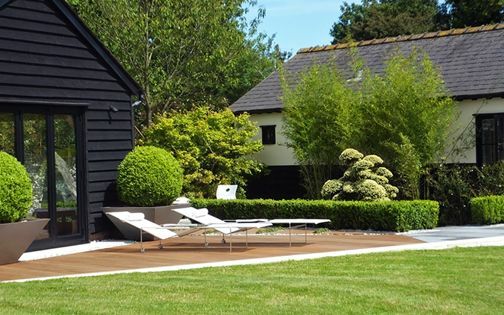 We love the ability to integrate in-house design services into each garden project, and the wide scope of landscape design and build commissions we undertake represents London's sheer diversity and the skilfulness of a dedicated construction crew. 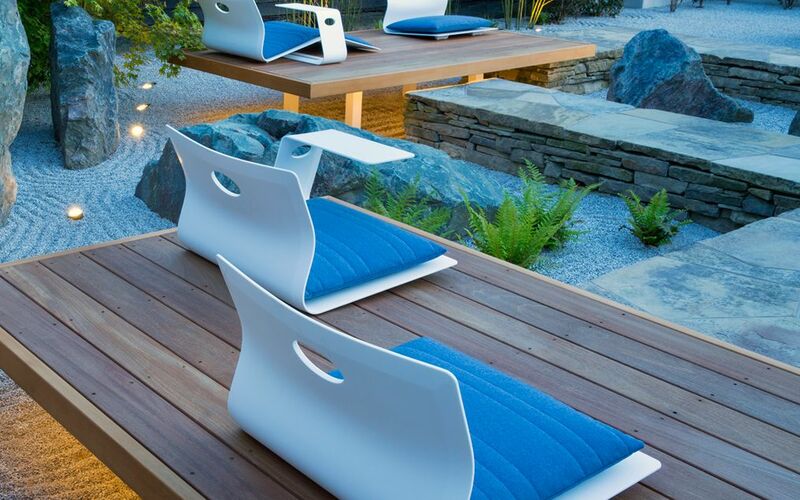 Both the cultural and architectural aspects of designing and building original, personal landscapes convey the dynamic nuances of private gardens and our client aspirations, extended further afield for long-standing clientele in the fascinating outdoor spaces they choose to live in.